NINDO: "I guess if you watch my back, I'll watch yours? that's how the buddy-system works right." LIKES: Sleeping. Slacking Off. Slow Days. Afternoons. Shogi. DISLIKES: Activity. Working. Quick Days. Mornings. Cats. The Uchiha Clan is recognized as one of the two founding clans of Konohagakure. The story of their initial rise lies with the same general backstory as the Hyuuga - an extensive rise in repute and power during the Warring States period and an exponential increase in fame after Konohagakure’s Foundation. 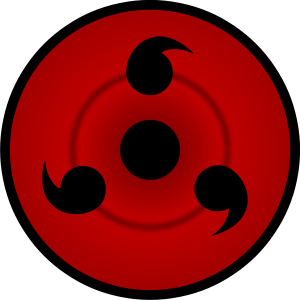 It is unclear as to what exactly separates an Uchiha Clan member from their peers, but many speculate that it has to do with their valuable Kekkei Genkai - the Copy Wheel Eye [Sharingan]. Unlike the Hyuuga, the Uchiha Sharingan does not always present itself within its clan members. Only roughly thirty percent of Uchiha Shinobi unlock the Sharingan, and to date there has been only a single Uchiha Clan member who has unlocked the secrets of the Mangekyou Sharingan - the father of Shodai Hokage Uchiha Hatsuma. For this reason, it is speculated that while the Uchiha have a specific Kekkei Genkai, it is believed that there is a larger genetic force at work that allows the Uchiha to perform at levels far above that of their peers. Universally, the Uchiha are considered to have a natural affinity for Fire-Based Techniques, as well they specialize in the extensive usage of tools in their combat. An Uchiha is just as likely to use their Kekkei Genkai in order to confuse or misdirect their opponent as they are to utilize their environment and natural physicality to overwhelm their enemy. Unlike the Hyuuga, the Uchiha Sharingan does not always present itself within its clan members. While, theoretically, all members of the Uchiha Clan could unlock the Sharingan, only roughly thirty percent of Uchiha Shinobi manage to do so. Further, there has been only a single Uchiha Clan member who has unlocked the secrets of the Mangekyou Sharingan - the father of Shodai Hokage Uchiha Hatsuma. For this reason, it is speculated that while the Uchiha have a specific Kekkei Genkai, it is believed that there is a larger genetic force at work that allows the Uchiha to perform at levels far above that of their peers. 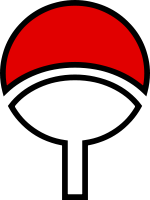 Universally, the Uchiha are considered to have a natural affinity for Fire-Based Techniques, as well they specialize in the extensive usage of tools in their combat. An Uchiha is just as likely to use their Kekkei Genkai in order to confuse or misdirect their opponent as they are to utilize their environment and natural physicality to overwhelm their enemy. Another popular theory in regards to the reason Uchiha do not go out of their way to take special precautions with their well-being is that Uchiha rarely, if ever, work alone. Uchiha heavily value family ties and ties with friends beyond all others, and this may actually be an indication as to what allows them to unlock or improve upon their Sharingan. These extensive emotional ties and the stress caused when these ties are severed or threatened may result in the Uchiha’s manifestation of their Sharingan, but it isn’t entirely clear as to what specific mechanisms are at work. Regardless of how it affects their Kekkei Genkai, the Uchiha normally work at least in pairs - and siblings usually train and perform extensively in the field together. This creates a natural support network in which an Uchiha is rarely, if ever alone, making any attempts to steal their eyes incredibly dangerous for any Shinobi to attempt. The Uchiha Clan can be distinguished by their naturally dark hair, fair skin, and eyes with charcoal-colored irises - as well as their Sharingan, if active. Most Uchiha wear their clan insignia proudly on either their body or their uniforms in order to show their utter loyalty to their clan over all else. The Uchiha get along extensively well with the Hyuuga, and the two villages have been allied since the Uchiha-Hyuuga-Senju conflict. Additionally, the Uchiha get along very well with the Nara clan as a result of the marriage between Uchiha Hatsuma and Nara Kiyoa and as a result of the Nara offering their tactical expertise to the Uchiha and Hyuuga in the Sengoku period. The Uchiha have a desire to get along with all of the Clans in Konohagakure, save for the Sarutobi - who made it clear that they still held animosity towards the Uchiha as a result of the Sengoku conflict and the subsequent extermination of the Senju Clan. Uchiha, when wronged, tend to hold grudges for an unnecessarily long period of time - but also may be more trusting than others when making and cementing friendships. It is common for an Uchiha to gift one of their eyes to a close ally or friend if their death is imminent - though this is not always a followed tradition. Born into your average middle-class family within the Uchiha residence of the Compound, Uchiha, Yasashii. Raised by mother and father, eldest in his family currently by blood to two younger brothers. Yasashii entered the Academy at the age of 10, graduating at the age of 16 when all was done and said. While having a high IQ, Yasashii is not quite put forth to engage into the affairs of his own benefit to bring honour to himself, his family or his clan. If anything, he was distant from them for the most part causing him to have only a 'true' relationship with his Mother and Brothers. Never once interested in the affairs of his fathers consistent pursuits to push the young land to his limits. With no mission experience under his belt and coming of age into his rites as a Uchiha Adult he did fair especially well in the use of Ninjutsu, but far more excelled with a sword in hand to call his own. While life began to move ahead and friends began moving on with their lives as well to continue their pursuits as Shinobi. At some point, during the winter of SE: 35 however, on a fair and chilly day where the cold had been earnest, Yasashii's mother passed away in the following week after battling a unknown illness. The family had suffered for the most part, his father leading himself into a downward spiral and eventually becoming a drunk that would have nothing else to do with his children. In the event of this, Yasashii finally stepped forward. 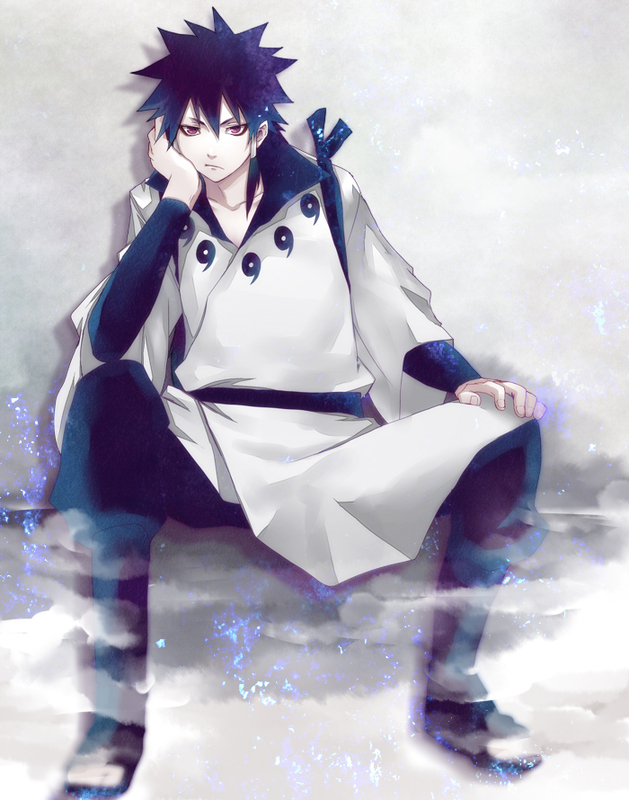 Putting on his clothes, as a standard typical garb in white he left the household in quiet to give visit to the mother's grave, perhaps it had been the strong emotion of loss that signaled it's coming to his awakening into his Sharingan. Motivated now, but still to his own leisure, Yasashii has spent the last several years getting himself ready for the future missions that were to come before him. For the fact he would need to support his Clan and Family now, primarily his two growing and younger brothers and it wasn't until several days afterwards that he came to find there was a ruckus in the backroom of their stead at the compound. It would appear that his mother had left a late gift before her passing, instilling with him more responsibility. She had left him, a Panda Cub. With it a small note that the small but decently sized creature had been gifted to him by a late friend of their mother and was arranged particularly for him alone. "Learn some responsibility, as it helps a growing man perceive the world around him and his peers in growing." These were strong words that were left behind, while not having been given earlier on due fact that the contact with that particular close friend had been cut off, Uchiha Yasashii and his new-found companion, Po-Po. Would begin their journey into the vast Shinobi world to see for themselves what it was truly made of and perhaps make a few friends along the way, if he could be bothered in doing so and to live life as a responsible adult. "I don't think you want to do that. I don't like violence, but I am very opposed to being hurt or watching others get hurt by it." 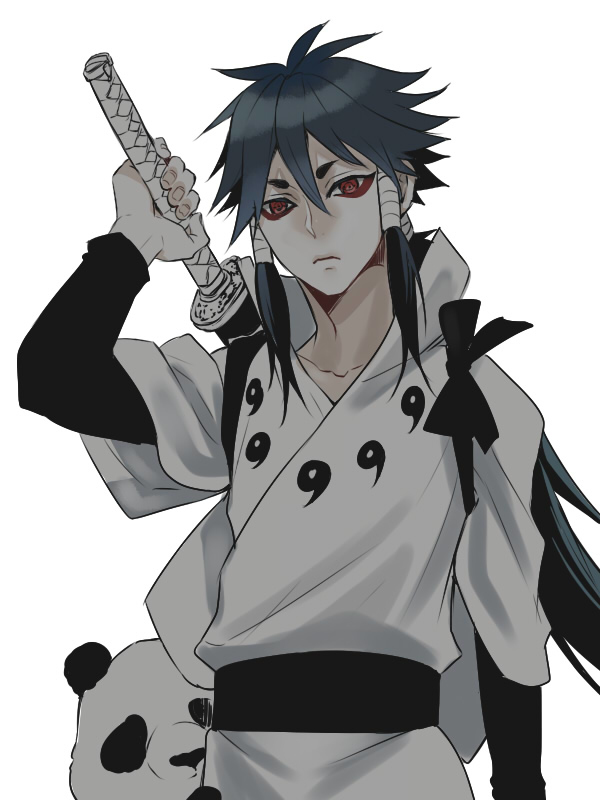 [Roleplay] The Dojutsu of the Uchiha clan, said to be a cousin of the Byakugan and the Tōchōgan. Each user's abilities with the eye are unique as it grows from single tomoe to it's mature three tomoe forms. When an Uchiha experiences a powerful emotional condition with regards to a person precious to them, their brain releases a special form of chakra that affects the optic nerves, transforming the eyes into Sharingan; for that reason the Sharingan is described as an "eye that reflects the heart" (心を写す瞳, Kokoro o utsusu hitomi). Often, as per the Uchiha's so-called "Curse of Hatred", this emotion is a negative one, brought on by stress or loss. The emotion can also be positive, driven by a desire to protect or reunite with a loved one. Assuming that the user is aware they have awakened the Sharingan, they are thereafter able to freely use it. When first awakened each Sharingan usually will have only one tomoe (巴), although in a rare cases, one may immediately gain two tomoe in each of their eyes. 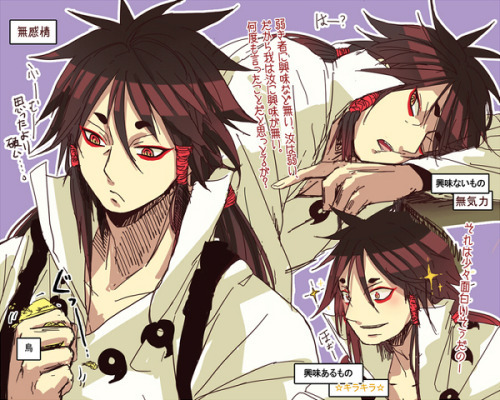 Through training and continued use the Sharingan will develop a second tomoe and then, upon full maturation, a third. All the Sharingan's abilities are available to the user from its earliest stage, but with greater development comes greater proficiency with those abilities. [Skill System] +3 Forgery/Intimidation w/Sharingan Active. This bonus increases by 1 per tomoe. Base I: Gain access to 'Dojutsu'. Gain +1 E-Rank, +2 D-Ranks. Unlocks Tomoe I. Upgrade I: Gain +2 C-Ranks. Unlocks Tomoe II. Upgrade II: Gain +1 B-Rank & A-Rank. Unlocks Tomoe III. Note: 'Dojutsu' counts as a custom element. It's Specialties are +Negatives and +Duration. Note: Using the jutsu given by this slot will activate the Sharingan. Note: Base represents a single Sharingan tomoe, Upgrade I 2 tomoe, Upgrade II 3 tomoe and Upgrade III, if it would ever be reached, is Mangekyo Sharingan. All tomoe upgrades require valid RP reasons to occur, so this slot is locked according to character progression. [Roleplay] The user can perform what is generically called Genjutsu: Sharingan. While there are various manifestations and purposes of the ability, the better known one is to, through eye contact, suggest thoughts and actions to a target, coercing them to divulge information or act in a particular way, potentially without the target's awareness. In extreme cases, the Sharingan user can take complete control of the target's body, forcing them to do exactly as the controller wishes; this control is visually indicated by the Sharingan's design appearing in the target's eye. Multiple targets can be taken control of in this way, though the more divided the user's attention is, the easier it is for targets to escape this control. While not an ability per se, the Sharingan user can appear as if they are able to "see the future". First, the user must perfectly mimic every move their opponent makes and possibly their thoughts and words through careful observation. Then, they suggest an action to the opponent such as hand seals for a technique that the opponent and Sharingan user already know and copy that. With these things done, the user can complete the action even before the opponent does, possibly using the Sharingan's genjutsu to confuse or delay them. [Skill System] +3 Perception/Sense Motive w/Sharingan Active. This bonus increases by 1 per tomoe. Note: Every round the Sharingan is active, accumulate 1 fatigue. Every round the Sharingan is in-active, fatigue reduces by 1. For every 10 points of fatigue on the user, all their rolls are reduced by 2. The Sharingan may be turned on and off with a free action. Note: An active Sharingan counts as having an upkeep cost of 0 CP. Effects that increase CP costs increase the upkeep. [Roleplay] The user is granted incredible clarity of perception, enabling them to read lips or mimic something like pencil movements. In combat, this allows them to see fast-moving objects and, once fully developed, offers some amount of predictive capabilities: they can anticipate an opponent's next move based on the slightest muscle tension in their body and act accordingly to dodge or intercept. Although a Sharingan user can see these things, they also need the physical ability to actually act on the visual information. While not an ability per se, the Sharingan user can appear as if they are able to "see the future". First, the user must perfectly mimic every move their opponent makes and possibly their thoughts and words through careful observation. With these things done, the user can complete the action even before the opponent does, possibly using the Sharingan's genjutsu to confuse or delay them. Upgrade I: Doujutsu that hit lowers the target's next Defense roll by 2. Requires Tomoe II. Note: Multiple hits do not stack but do refresh duration. Note: Effect lasts 2 rounds. [Roleplay] Sharingan Genjutsu is among the most pressuring and stressful of techniques to get free of, with further experience under his belt he can apply more output towards it's focal point in damage. Base I: +0 CP Damage (Doujutsu). Upgrade I: +1 CP Damage (Doujutsu). Upgrade II: +D2 CP Damage (Doujutsu). [Roleplay] The Uchiha are infamous for their exceptionally talented and battle-orientated shinobi. Many train deeply into the arts of hand-to-hand, weaponry and tools to compliment their ninjutsu arts. 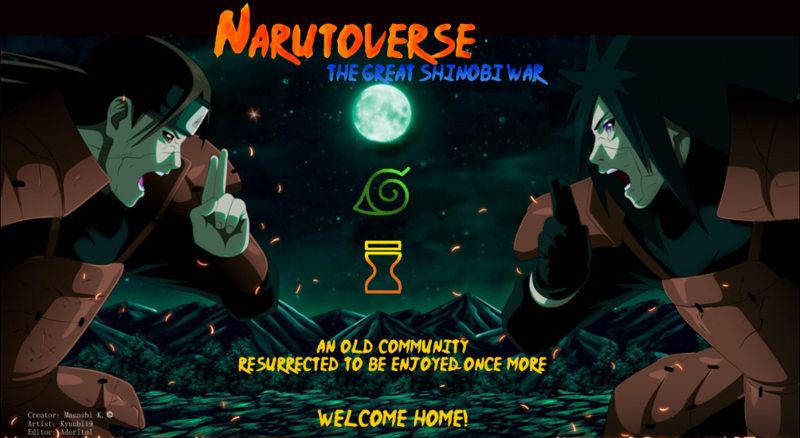 [Roleplay] It states that the entire village is like a large family unit and every Konoha shinobi with the Will of Fire loves, believes, cherishes, and fights to protect the village, as previous generations had done before them. Yasashii is more attuned to this line of thinking than most the Uchiha and their agenda. Leading him to easier friendships with others and outcasts that most may shun, a open heart that is rather instead closed. 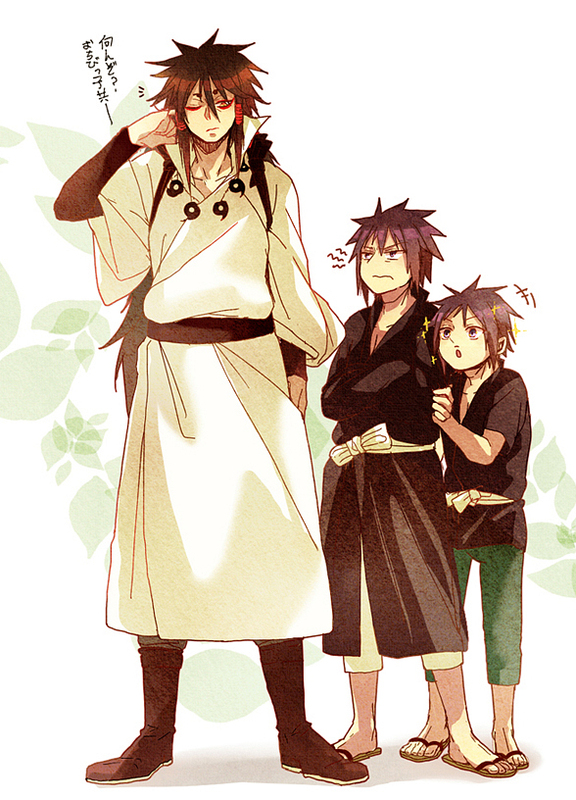 Yet this, to the young Uchiha may become a danger upon himself one day. But more importantly this 'will' allows him to tap into that mindset to push himself further. [Roleplay] The mind is the abstract notion of cognitive processes, such as rational thought, memory, perception and intellect. Rational thought is often considered the reason why Homo sapiens succeeded, proliferating and inhabiting most areas of the planet, developing technology and culture, changing the environment to meet their liking. Physically speaking, all those mental processes are electrical impulses in the nervous system, focused mainly on the central nervous system, in particular the brain. By focusing Chakra down the length of a blade, Yasashii is able to deliver a strike that impulses into the targets network, causing disruption much akin to a Genjutsu. This combat style is focused on pure offense rather than the slow and dire fate of those inflicted inside of a Genjutsu as normal. It's suspected the Style was based off the Moon, how it reflects in the water's surface to create the gate-way to one's soul that allows the mirror of truth to reveal that which is hidden or perhaps the cutting edge of the style is simply proficient enough to cause direct harm to the body and chakra network. Base I: Gain +Genjutsu Focus [+Bonuses/+Negatives], Gain +Yumegetsu Style [+CP Damage/+HP Damage]. Gain +1 E-Rank Genjutsu/Yumegetsu Jutsu. Note: Yumegetsu is a Genjutsu Style. [Roleplay] The mind is the abstract notion of cognitive processes, such as rational thought, memory, perception and intellect. Rational thought is often considered the reason why Homo sapiens succeeded, proliferating and inhabiting most areas of the planet, developing technology and culture, changing the environment to meet their liking. Physically speaking, all those mental processes are electrical impulses in the nervous system, focused mainly on the central nervous system, in particular the brain. By focusing Chakra down the length of a blade, Yasashii is able to deliver a strike that impulses into the targets network, causing disruption much akin to a Genjutsu. This combat style is focused on pure offense rather than the slow and dire fate of those inflicted inside of a Genjutsu as normal. It's suspected the Style was based off the Moon, how it reflects in the water's surface to create the gate-way to one's soul that allows the mirror of truth to reveal that which is hidden or perhaps the cutting edge of the style is simply proficient enough to cause direct harm to the body and chakra network. However with enough training this technique can be applied to others, at a given cost. Base I: Active - 5CP - Free Action, add either the '+HP Damage' or '+CP Damage' damage to your next Yumegetsu attack. Note: Choose which bonus to damage to add before you announce your attack. ADD: D6+1 HP Damage OR D4 CP Damage. [Roleplay] Po-Po is a rare kind of Panda that is normally not seen. Yet trained to follow orders under Yasashii often has lead to his lazy nature that the two compliment to another so well. An unshakable bond for a start. Po~Po is a trained animal that much like Inuzuka Dogs will bond and work in tandem with their owner. This was to be his first responsibility of taking care of this animal, a late gift from his mother. Pets are usually from a bloodline of skilled and noble ninja animals. They range from slightly more intelligent that normal pets to fully sentient and talking individuals. 叙述~ The user can perform what is generically called Genjutsu: Sharingan. While there are various manifestations and purposes of the ability, the better known one is to, through eye contact, suggest thoughts and actions to a target, coercing them to divulge information or act in a particular way, potentially without the target's awareness. In extreme cases, the Sharingan user can take complete control of the target's body, forcing them to do exactly as the controller wishes; this control is visually indicated by the Sharingan's design appearing in the target's eye. Effect: Out Of Combat. User is able to coerce an NPC to spill information or act a certain manner by staring them in the eye, this does not work if the target is already aware of ill intent and only works with DM Permission and on NPC's that are of the weak willed persuasion. On even-playing fields, the suggestion seems stronger, assisting in pulling thoughts to another side, but not complete persuasion. 叙述~The user can perform what is generically called Genjutsu: Sharingan. While there are various manifestations and purposes of the ability, the better known one is to, through eye contact, suggest thoughts and actions to a target, coercing them to divulge information or act in a particular way. In extreme cases, the Sharingan user can take complete control of the target's body, forcing them to do exactly as the controller wishes; this control is visually indicated by the Sharingan's design appearing in the target's eye. 叙述~By locking eyes the the target the user can imply a suggestive against their will, considering it more combative and direct towards them as in attempt to lock them from escaping easily otherwise. When attempting to escape, the target comes into the illusion of a giant sharingan blocking their immediate path and route of choice. Forcing them to reconsider their next action. Effect: Doujutsu vs Target. Stop a target's fleeing attempt at a +5 Bonus. Afterwards, Lose turn. JP Cost: Lose Turn [+2 JP]. Gain Bonus[-5P]. D-Rank [+2 JP]. No Damage [+1 JP]. 叙述~ By using a handseal and focusing chakra to the eyes, the user of the Sharingan can enhance their physical vision with chakra to see much farther than the average Sharingan. This vision is simply equal to that of a eagle, allowing them to see what is up ahead should the direct line of sight allow such, focusing chakra otherwise to keep their vision scoped. Effect: Out of Combat. Non-Attack Jutsu D Rank. Detection Range Increased By 1. 叙述~ A simple Kenjutsu technique which readies the user into a stance that allows them to instead use the movements of a adversary against them for defensive purposes. Using the force of the strike that is coming or the quickness to the advantage by giving a relaxed posture to allow ease of movement or parry. Using the Tip of their Blade to wear away at them with scratches and gashes from reach alone. Effect: Defensive Action. On successful defense, user's next Tai/Kenjutsu attack within one round deals +1 HP Damage. 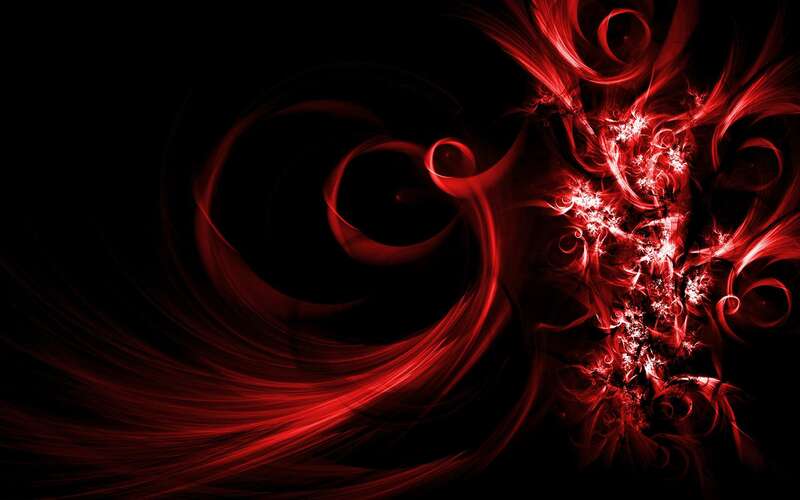 After three hand seals, the user spits out a somewhat larger cloud of embers and flame, sticking and burning all it touches.